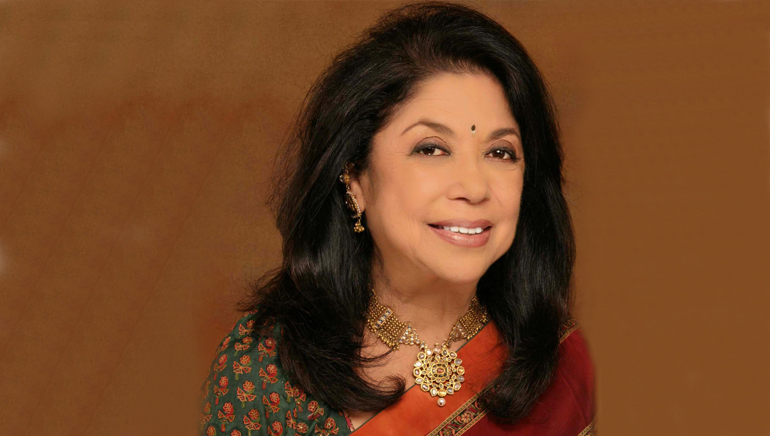 Ritu Kumar, the veteran Indian fashion designer, is one of the first to make traditional wears a trendy affair. She is famed for her fusion of vintage weaves with the contemporary designs. The first lady of fashion plays around with leather, silk and cotton effortlessly to create a masterpiece. She has reinvented Indian pathanis, kurtis and saris and has taken the Indian craftsmanship to an international level. Having been in the fashion industry for nearly four decades, Kumar has carved out a niche for herself with the unique use of colours, fabrics, motifs, embroideries and rich Indian aesthetic. She has been hailed for her initiatives in reviving traditional Indian weaves such as Zardosi and Chickenkari that were once patronized by the Mughals and Nawabs but were fading into the oblivion. Kumar, who began her career with just four hand block printers and two tables in a small village near Calcutta, has had a dramatic rise. She has received Padma Shri for her contributions in the field of fashion, textile and craftsmanship. Thank heavens that Kumar, who is an institution in herself, happened to India!